Misdemeanors in which the date of conviction or completion of incarceration occurred five or more years before the application’s date, unless the person was convicted of an offense within the preceding five-year period. The changes to the CORI law now also prohibit employers from inquiring orally or in writing about an applicant’s misdemeanors when the conviction or period of incarceration occurred three years (rather than five years as under prior law) or more before the application’s date, unless the person was convicted of an offense within the preceding three-year period. The changes further prohibit employers from asking applicants about criminal records that have been sealed or expunged. Massachusetts has been aggressive in enforcing its ban-the-box law. In June 2018, the Massachusetts Attorney General reached agreements with several national employers (Edible Arrangements, Five Guys Burgers and Fries, and L’Occitane), and issued warning letters to 17 other Boston area businesses found to be violating state law by asking applicants about criminal record information on initial job applications. One week after taking office, Michigan Governor Gretchen Whitmer signed a directive that prohibits state departments and agencies from asking about current or previous salaries until after extending a conditional offer of employment with proposed salary. Executive Directive No. 2019-10, intended to ensure equal pay for equal work among state employees, went into effect immediately upon receiving the governor’s signature on January 8, 2019. The directive also prohibits public employers from searching public records databases to obtain an applicant’s current or previous salary information. The directive does not prevent an applicant from volunteering salary information; however, the state cannot consider an applicant’s refusal to do so in any employment decision. The state may verify salary information only if the applicant voluntarily provides the information or verification is required by applicable law. Less than a year ago, former Michigan Governor Rick Snyder signed a bill that prevented local governments from regulating the questions employers could ask during job interviews, essentially blocking city or county regulations prohibiting employers from inquiring about salary history information. Wisconsin passed a similar bill last year. Such bills ostensibly prevent a patchwork quilt of local salary history regulations being passed where such a regulation has not yet been passed at the state level, such as in New York. The Situation: In the wake of the Equifax data breach, Massachusetts has amended its data breach law. The Result: Companies reporting security breaches under the amended data breach law must provide additional information about the incident and their written information security program (“WISP”), and they must provide credit monitoring services to any affected residents whose Social Security numbers were disclosed. Looking Ahead: Massachusetts’s data breach law is now one of the most expansive in the country. The new law also reaffirms the need for companies that own or license personal information of Massachusetts residents to maintain a WISP. The amendments do not alter the triggers for notification. Rather, they focus on the content of breach notifications and the “mitigation services” companies must offer victims. The most significant amendments: (i) expand the information that companies reporting breaches must disclose; (ii) require companies to provide, at no cost to affected individuals, at least 18 months of credit monitoring services if the breach involved the disclosure of Social Security numbers; (iii) provide that companies shall not delay notice on grounds that the total number of affected Massachusetts residents is unknown; and (iv) increase the public visibility of reported breaches. The amendments require companies to inform regulators whether the company “maintains a written information security program,” and whether the company has updated or plans to update the WISP in response to the incident. A WISP has been a legal requirement since 2010 for companies that own or license the personal information of a Massachusetts resident, and must contain appropriate administrative, technical, and physical safeguards for such personal information. These provisions are unique to Massachusetts’s data breach law, and notably expand the regulatory focus from the incident to include the company’s information security program. Massachusetts also joins California, Connecticut, and Delaware in requiring companies to provide identity theft protection or credit monitoring to residents whose Social Security numbers were disclosed in a breach. The new law requires a company reporting a breach to provide at least 18 months of credit monitoring (consumer reporting agencies must provide at least 42 months), at no cost, to residents whose Social Security numbers were, or are “reasonably believed to have been,” disclosed. The company must provide affected residents with all information necessary for enrollment in credit monitoring services, and the company may not require them to waive their right to a private cause of action as a condition to obtaining the services. The company must file a report with the AG and OCABR certifying that its credit monitoring complies with these requirements. The company also must advise residents that consumer credit reporting agencies will not charge them for placing or lifting credit freezes. OCABR will instruct consumers on how to file public records requests to obtain copies of the reporting company’s breach notification submitted to regulators. The law contains a number of ambiguities and interpretation questions, which eventually may prompt the OCABR to promulgate further regulations, as permitted under the amendments. Companies reporting security breaches under the amended Massachusetts data breach law must disclose more information to regulators and consumers. Notification letters will be more readily available to the public. Companies must provide 18 months of credit monitoring services at no cost to Massachusetts residents whose Social Security numbers are disclosed in a breach. Companies that own or license personal information of Massachusetts residents should implement, and where necessary, update a WISP satisfying the Massachusetts legal requirements. Like most legal questions, it depends. The Northern District of California recently grappled with this issue in the case of Prado v. Equifax Information Services LLC, No. 18-CV-02405-PJH (LB), 2019 WL 88140 (N.D. Cal. Jan. 3, 2019). In that case, the plaintiff alleged that Equifax mixed up her credit history with that of her sister’s, which contained several delinquencies. The plaintiff claimed that Equifax failed to respond adequately to her attempts to correct these errors, resulting in FCRA violations and causing plaintiff emotional distress. However, the plaintiff did not assert a separate cause of action for this supposed infliction of emotional distress. In light of plaintiff’s general allegation that she suffered emotional harm, Equifax issued a request for production seeking all documents relating to “any medical or mental treatments” plaintiff “received in the past seven years.” Id. at *1. The plaintiff served objections, asserting, among other things, that this discovery was overly broad, irrelevant, and constituted an invasion of plaintiff’s privacy. Equifax, citing non-FCRA cases outside the Ninth Circuit, argued that plaintiff’s medical records were relevant based on plaintiff’s generic allegation of emotional distress. Equifax also highlighted the distinction between its document request and a request for a medical examination under Federal Rule 35, which specifically requires in the rule that the party’s mental or physical condition be in controversy before a court orders such an examination. The court in Prado, however, was not swayed by Equifax’s arguments and sustained the plaintiff’s objections. The court’s decision mirrored the reasoning of other courts in the Northern District of California: “when a plaintiff alleges only ‘garden variety’ distress and does not allege emotional distress as a separate claim, does not allege unusually severe emotional distress, and does not intend to rely on experts or medical records to prove emotional-distress damages, she does not place her medical history so at issue as to warrant compelling production of her medical records.” Id. (citing Basich v. Petanaude & Felix, APC, No. C 11-04406 EJD (HRL), 2012 U.S. Dist. LEXIS 91634, at *3-4 (N.D. Cal. July 2, 2012)). The court further disagreed with the distinction Equifax attempted to draw between a request for documents versus a medical examination, stating that “delving into a plaintiff’s medical or psychiatric records is even more invasive than conducting a medical or psychological examination[. ]” Id. at *2 (quoting EEOC v. Lexus of Serramonte, 237 F.R.D. 220 (N.D. Cal. 2006). While the result may have been different before a different judge or under different circumstances, the court in Prado clearly did not believe that a general allegation of emotional distress was enough to trigger discovery of a plaintiff’s medical records. This week we got another big FCRA decision in Sanders v. Global Radar Acquisition. In Sanders, the plaintiffs filed a putative class action claiming that the Defendants failed “to obtain certification prior to furnishing a consumer report for employment purposes in violation of 15 U.S.C. § 1681b(b)(1)(A).” The Plaintiffs were employed by Naples Hotel Group, which was not a party to the action, but were terminated based on the contents of background checks provided by Global HR, a consumer reporting agency. The crux of the claim was not that the Defendant reported false information but rather that the Defendant lacked certifications from the Naples Hotel Group that were required by the FCRA before providing reports. The issue before the district court was whether the plaintiffs had Article III standing to sue. By way of some background: When applying for a position at Naples Hotel Group, Plaintiffs were required to sign documents titled “Notice and Acknowledgment”, which purportedly authorized Naples Hotel Group to procure their consumer reports for employment purposes. Global HR supplied the “Notice and Acknowledgement” forms, which plaintiffs allege did not comply with the FCRA. The relevant statutory provisions are 15 U.S.C. § 1681b(b)(1)(A)(i)-(ii), (b)(2), and (b)(3). In the Amended Complaint, Plaintiffs allege they were terminated on October 5, 2016 based upon the consumer reports Global HR unlawfully furnished to Naples Hotel Group and were never provided with pre-adverse action notification required by the FCRA. They further allege that Global HR invaded their “right of privacy” by providing their confidential information without proper authorization. The Defendant moved to dismiss. Importantly, the question in the Sanders case isn’t whether the Plaintiffs had statutory standing to sue. Instead, the issue was whether under Spokeo the plaintiffs had Article III standing. Article III standing is a threshold requirement to bring a claim, which (like jurisdiction) must be addressed before the merits. To establish Article III standing, a plaintiff must establish injury in fact, causation, and redressability. For injury in fact, it’s not enough to allege a procedural violation. The plaintiff must actually have suffered harm. That harm must be caused by the Defendant’s conduct. It must be “fairly traceable” to the Defendant. Finally, the harm suffered must be capable of redress by a favorable decision. The Sanders court found that the Plaintiffs’ harm wasn’t a mere technical violation of the statute but, rather, was precisely the type of harm the FCRA intends to protect against: the distribution of consumer reports without authorization. As to causation, the Court also found that, critically, that harm was “fairly traceable” to the Defendant’s conduct. Specifically, the injury flowed from the Defendant’s conduct. The Court denied the Defendant’s motion to dismiss and found that the Plaintiffs had Article III standing to sue. A recent case out of the U.S. District Court in Arizona has shown that it is not easy for a defendant to recover attorneys’ fees under the “bad faith” provision of the Fair Credit Reporting Act. In Perri v. Diversified Adjustment Serv., 2018 U.S. Dist. LEXIS 213612 (D. Ariz. Dec. 19, 2018), a district court denied the defendant’s motion for attorneys’ fees under the FCRA after the pro se plaintiff’s case was dismissed. The plaintiff, Joshua Perri, filed a complaint against Diversified Adjustment Services, a debt collector, alleging defamation, negligent enablement of identity theft, and violation of the FCRA. However, Perri failed to comply with the district court’s orders and failed to prosecute the claims. The district court dismissed the case as a result. Diversified moved for attorneys’ fees under the FCRA. § 1681n(c) provides that “[u]pon a finding by the court that an unsuccessful pleading, motion, or other paper filed in connection with an action under this section was filed in bad faith or for purposes of harassment, the court shall award to the prevailing party attorney’s fees reasonable in relation to the work expended in responding to the pleading, motion, or other paper.” In bringing the motion, Diversified argued that Perri was acting in bad faith because he disobeyed several court orders, including failing to attend the Rule 16 conference. Diversified also argued that the action was frivolous because Perri never prosecuted the claims. Finally, Diversified argued that because the complaint contained no facts coupled with an email he sent calling the defense counsel “dishonest dirt bags,” it was evident that the complaint was filed for the purpose of harassment. The Court found Diversified’s arguments unpersuasive, stating that the debt collector had not shown that Perri filed any document in the case in bad faith or for harassment purposes as required for an award of attorneys’ fees under the FCRA. The Court pointed out that Perri’s actions in disobeying several court orders coupled with his failure to prosecute the case was the reason why the Court terminated the case as a sanction. The Court reasoned that attorneys’ fees under § 1681n(c) may be awarded based on an action filed in bad faith, not for misconduct of the parties during the pendency of the action. The Court also noted in its opinion that it could not infer bad faith or harassment from the lack of factual allegations in the complaint because it did not know enough about the allegations to know whether they were frivolous. Ultimately, the Perri Court held that to be awarded attorneys’ fees under § 1681n(c) of the FCRA, a defendant must show that the motion or complaint was filed in bad faith or for purposes of harassment. It is not enough that a pleading or motion in question later turned out to be baseless. A California district court has certified a class of approximately 5 million people who once applied to Walmart in a suit alleging background check violations (Pitre v. Walmart Stores, Inc., No. 17-cv-01281 (C.D. Cal. Jan. 17, 2019)). The lawsuit alleges that Walmart willfully included extraneous information in disclosure forms and procured investigative reports without informing class members of their right to request a written summary of their rights under California and federal law. The court concluded that the proposed class met the requirements for certification and also agreed to add two additional class representatives. Walmart is now one of several employers that have recently faced allegations of improper background check procedures, in violation of the federal Fair Credit Reporting Act (FCRA) and/or state law. The FCRA has specific rules employers must follow. A disclosure form, for example, must consist of only the legally required disclosure. Multi-state employers often try to consolidate and standardize their compliance efforts to satisfy the requirements of multiple jurisdictions, but where background checks are concerned, this move can backfire. As these employers recently found, a single problematic background check form can give rise to a costly class action involving thousands of plaintiffs. A U.S. appeals court on Tuesday held that documents employers give to job applicants disclosing their rights under the federal law governing background checks cannot contain any reference to comparable state laws. A unanimous three-judge panel of the 9th U.S. Circuit Court of Appeals said the federal Fair Credit Reporting Act’s requirement that job applicants be given a document consisting “solely” of disclosures mandated by the law means they cannot include any information about state laws. Sensitive Personal Data: the processing of sensitive personal data (e.g., health data, ethnicity, race) is prohibited under Article 9(1) of the GDPR unless one of the conditions for processing such data are satisfied under Article 9(2) of the GDPR. The LOPDGDD provides that consent will not be a valid condition where the primary purpose of the processing is to identify e.g., the individual’s ethnicity. Instead, it will be necessary to rely on another condition under Article 9(2) of the GDPR. Business Contact Data: there is a presumption that the processing of personal data of business contacts, where the sole purpose is to establish a relationship with the business, will be in the legitimate interests of the controller. Data Protection Officers: a list of entities that must appoint a data protection officer are set out in the LOPDGDD. These include, for example, insurers, investment service companies and providers of information society services. Organizations have ten days from the date of appointment of a data protection officer, to notify the Spanish data protection authority of the appointment. Children’s Data: only children aged 14 or over are able to provide valid consent with regard to the receipt of online services. Accuracy of Data: Article 5(1)(d) of the GDPR requires that personal data be accurate and where necessary kept up to date. The LOPDGDD provides that a controller will not be responsible for processing inaccurate personal data in certain limited circumstances, including where the data were obtained from a public register or the data were received from a third party as a result of a request for data portability. Digital Rights: the LOPDGDD introduces a number of new digital rights for individuals which go beyond those provided in the GDPR e.g., the right to privacy and use of digital devices in the workplace. This includes a right to “digital disconnection” that applies to both public and private sector workers. And while the precise details of how those rights of disconnection will be exercised is generally left to the internal policies of employers as well as collective bargaining processes, it is nonetheless a significant development for the digital economy. On January 10, 2019, Advocate General Szpunar of the Court of Justice of the European Union (CJEU) released his opinionregarding a 2016 enforcement action carried out by the French Supervisory Authority (CNIL) against Google. In that case, the CNIL ordered Google to de-reference links to webpages containing personal data. According to the CNIL, the de-referencing had to be effective worldwide. Google challenged the CNIL’s decision before the French administrative court, which then referred this matter to the CJEU. In his opinion, Advocate General Szpunar disagrees with the CNIL’s view on a worldwide application of the “right to be forgotten.” According to Szpunar, the EU Charter’s right to data protection must be balanced against other Charter rights, such as the right of access to information. These rights must be applied with a territorial link to the EU and cannot be broadly interpreted to apply across the whole world. To that end, Spuznar emphasizes that EU regulators cannot reasonably be expected to make this balancing test for the entire world. Moreover, a worldwide application of the de-referencing obligation would send a “fatal signal” to third countries eager to limit access to information. It could lead to a race to the bottom at the expense of freedom of information in the EU and worldwide. This does not mean that EU data protection law can never have an extra-territorial dimension, but not in this case. While a worldwide obligation to de-reference is not desirable, Szpunar does believe that Google should be required to make every effort to de-reference the relevant links across the EU (and not just in France). This includes by means of “geo-blocking”, irrespective of the search engine domain used—i.e., a user of Google.com, Google.fr or Google.de should not see the relevant links if it can be established that the user is in the EU (for example, on the basis of the user’s IP address). The opinion of the Advocate General will now be considered by the CJEU, who is expected to render a decision in a couple of months. The CJEU often follows the general analysis of the Advocate General. On January 9th, The Guardian reported that the UK Information Commissioner’s Office (ICO) fined Cambridge Analytica’s parent company, SCL Elections, £15,000 for failing to respond to an American citizen’s request for copies of information it holds on him. David Carroll requested a copy of his data in 2017 from SCL and was later provided basic information and other documents regarding his political opinions. Carroll then requested further information from SCL regarding his political opinions, including the source of information used to create the predictions. However, the company did not provide the information saying that Carroll did not have a right to the additional information since he was not a UK citizen. ICO ordered SCL to provide the information in May 2018, but the company failed to comply. As a result, a UK district court imposed a penalty against the company. Employers have the right to freely advertise vacancies and positions. Recruitment processes must be done carefully so as not to create a labor relationship while making assurances and provisions in writing. Offer letters must always be contingent on written acceptance by both parties and background checks. Even though solicitation is permitted, it is important not to advertise positions establishing requirements which are not essential (e.g. race, religion, gender, social status, physical appearance or any other category that could fall under a suspicious practice of corporate discrimination). Employers can freely ask any candidate and can also conduct legal searches with applicable authorities. Employers can freely ask any candidate. 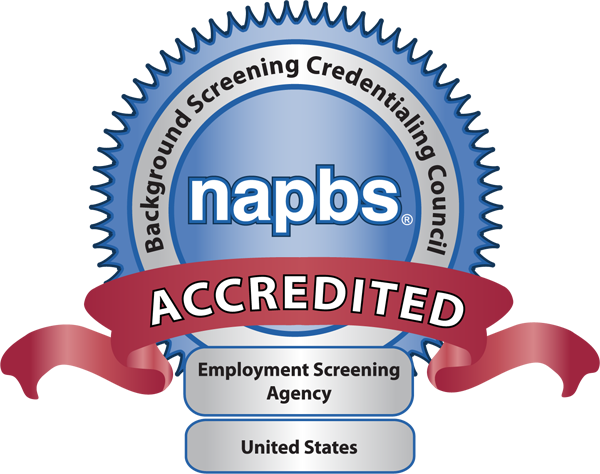 Employers may require screening and would be obliged to secrecy. If positive, the employer must be careful not to deny employment solely on the basis of a positive result. It is an obligation to inquire about immigration status and to resolve all migratory issues before hiring a foreign candidate. If the Migration Institute realizes that foreign nationals are working without permission, employees may be subject to deportation and the employer would be liable to pay penalties and fees. This is private information and direct involvement by an employer could be considered an offense. Employers can use any information that is publicly available, but must never pry or infiltrate social media, email or other closed personal accounts. Before offering employment, employees may be subject to drug screening and must sign a waiver. While recruiting, employers need to maintain objectivity and must never deny employment due to race, sexual preference, appearance, color, religion or other aspects that may imply discriminatory practices. National minimum wage changes yearly; for 2018 it is Ps88.36 per day. In accordance with the Organization for Economic Cooperation and Development, Mexico has an average working week of 43 hours, which is legally capped at 48 hours per week. Everything above 48 working hours in a week is considered overtime, which is also capped at nine hours per week (maximum three extra hours over three days). These hours must be paid at 100% of the normal rate and should an employee work over the nine hours, each subsequent hour must be paid at 200% of the normal hourly rate. Federal labor law establishes that during a continuous working day (eight hours per day), the employee must be given a rest or meal period of at least 30 minutes. If the employee cannot leave the workplace during the rest or meal period, the time corresponding to such periods is to be counted as time worked and included as part of the working day. Overtime is capped at nine hours per week (maximum three extra hours over three days). These hours must be paid at 100% of the normal rate, and if in any case an employee works over the nine weekly hours, each subsequent hour must be paid at 200% of the normal hourly rate. In case of emergency or imminent risk at the workplace, the employee must work regardless of overtime. After one year of employment, an employee is entitled to a vacation period of six working days. This increases by two days over the next three years until the employee reaches 12 vacation days per year. Thereafter, the vacation period increases by two days for each additional five years of service. Vacations must be enjoyed during mandatory working days. Compulsory holidays are observed on 1 January, 5 February, 21 March, 1 May, 16 September, the third Monday of November, 1 December (every six years), 25 December and any day that election law mandates to exercise the right to vote. Employees that work a mandatory holiday are entitled to 200% of the normal rate per working day. other deductions, including union payments, maintenance or child support as mandated by applicable courts. In all cases, deductions must be warranted and in writing. In no case can any deduction be for more than one month’s salary. All records must be kept by the employer as procedural burden of proof. Responsibility for employment conditions lies exclusively on employers. Payment records must be signed by the employee on receipt and kept safely in the workplace. Any and all payments made for statutory benefits must also be signed on receipt and kept by the employer.